Cid Style File: Do you love your body! 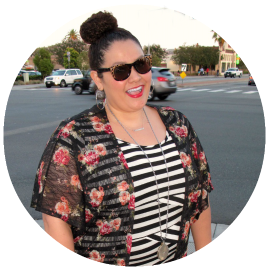 Body image issues is a sensitive subject among the plus size community. I would say negative body image is something all women deal with no matter what size they are. 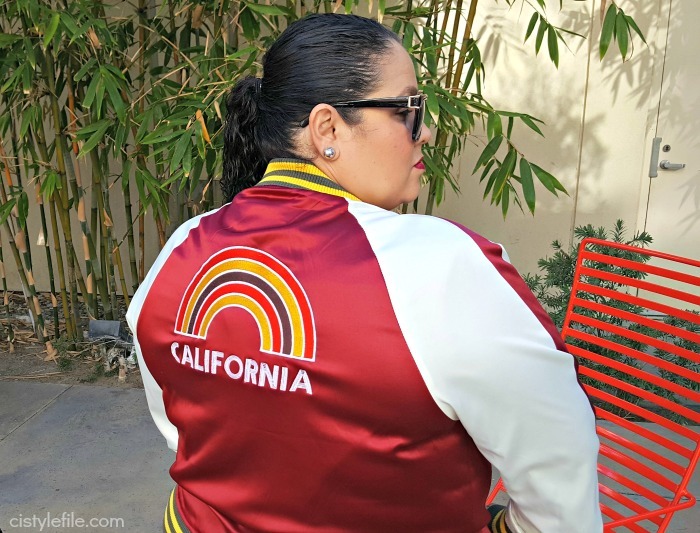 Even though there has been a significant movement in size acceptance and the plus size fashion community, I think many of us still deal with not loving our bodies. I know it has taken me personally 30 plus years to accept my curves and be ok with it! I am not gonna lie and say I am 100% happy with my body, but I don't hate it! I embrace my body the way it is and work with what I got! I know we all have those areas we want to improve upon. But waking up everyday having negative thoughts about your self and your body is not a good way to live. I have been so much happier ever since I decided to accept my self & my body as it is. It's a daily battle, self acceptance doesn't happen over night, but it can happen. You will be much happier with your self and your life once you decide to love your body no matter what size you are! You are BEAUTIFUL just way you are! A good way to start loving your self and your body is to attend Love Your Body Day! 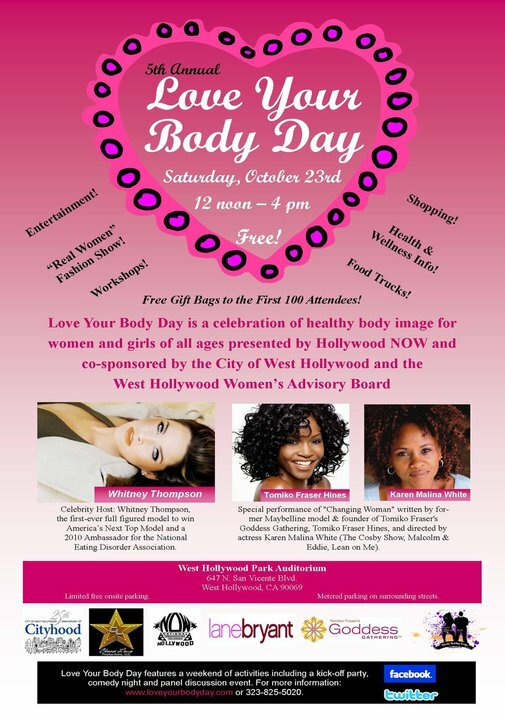 "Love Your Body Day is a celebration of healthy body images for women and girls of all ages presented by Hollywood NOW and co-sponsored by the city of West Hollywood"
Come celebrate with Chenese Lewis President of Hollywood NOW & celebrity host Whitney Thompson winner of America's Next Top Model. I will be there along with many other bloggers representing the LA Fatshion Bloggers, who are a media sponsor of this awesome event. If you live in the Los Angeles & So Cal area you need to come and join us. 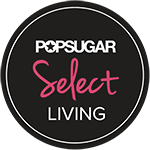 All events are free and you will not only learn about loving your self just the way you are, but will also get a chance to meet a lot of really great people. What a great way to spend a Saturday afternoon in Hollywood! Let me know if your attending so I can meet you and chat! I will see you there chica! !